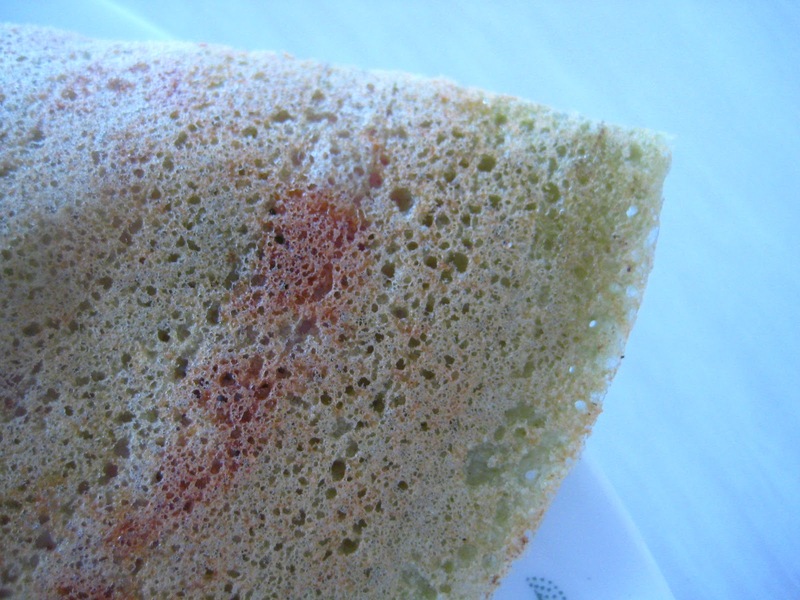 This is one of the easiest Dosa recipes.No fermentation and not so much effort required.It goes very well with Coconut chutney and suits well for breakfast.Give it a try.Enjoy. 1 medium Size Onion cut into large cubes. Soak Rice and whole Green Moong to gather in water for 7-8 hours. Then grind with Ginger, Green Chilies, Cumin seeds, Onion cubes and some water. 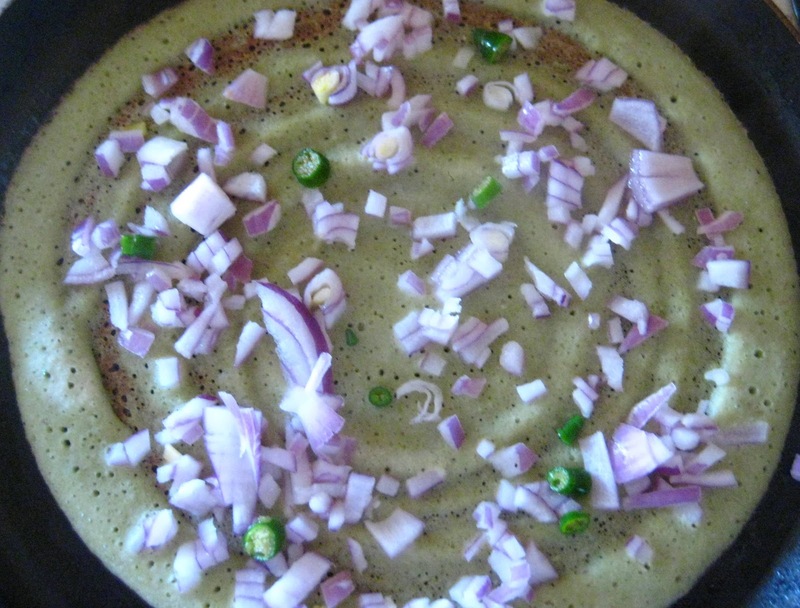 Do not add too much water, consistency should be as of Dosa batter. Heat a non-stick pan, pour some batter and spread thin,and sprinkle handful of chopped Onion and few pieces of Green Chilies as you can see in the picture. spread some Ghee( as much as u like).Cook for 2 min on medium heat. Crispy Pesarattu is ready now. 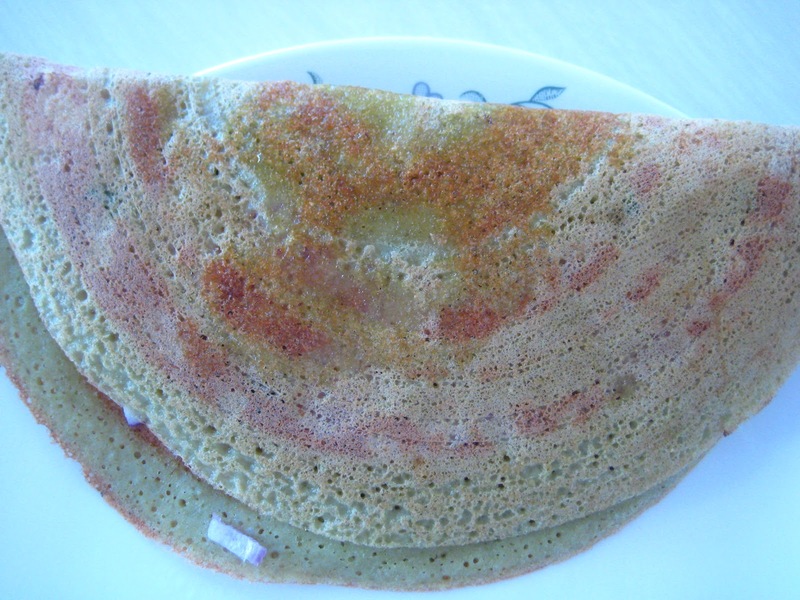 Pesarattu Green Gram Dosa looking very delicious. One of my fav dishes.